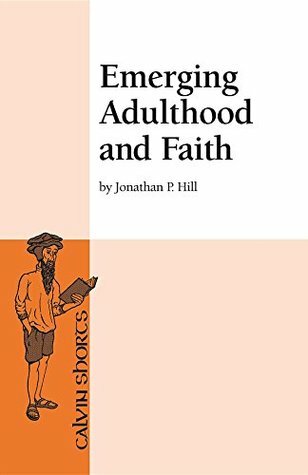 This is a really nice little book that should serve to temper the alarmism and anxiety over the "exodus" of young people from the church, the "danger" imposed by "secular" institutions of higher education on young people of faith, and the apparent "faith crisis" raised by modern science. If Jonathan Hill is right (and we all know statistics can be a great vehicle for lies) then it turns out that "roughly the same percentage of young people are sitting in the pews (or folding chairs) of Protestant churches today as were there in the 1970s" (p.17). "College graduates are actually more likely [than people who never go to college] to practice their faith and say it is important in their daily life" (p.30). And "the supposed crisis of faith brought about by mainstream science and certain readings of the early chapters of Genesis simply does not exist for most young people" (p.57). Who knew?! I don't put a lot of stock in these kinds of quantitative research projects anyway, but I'm glad this one exists if only to balance out the extreme fear mongering that takes place in some of the other sociological interpretations of data. If nothing else, this book helps us to chill out. Fun little read!